Remember, remember the month of September, in which Dark Horse comics does trot. With covers like these, aiming to please, their range will never be forgot. 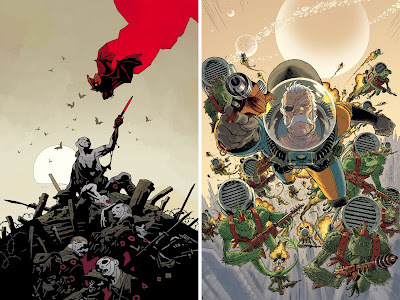 ARTIST/TITLE: Mike Mignola - Baltimore: The Plague Ships #2, Tony Moore - Fear Agent #30: Out of Step #3. For the Horse's full September line-up, visit their website.